You are doing something super strange, because it should be impossible to equip the backpack (the keybinding is disabled). Are you using a modpack? 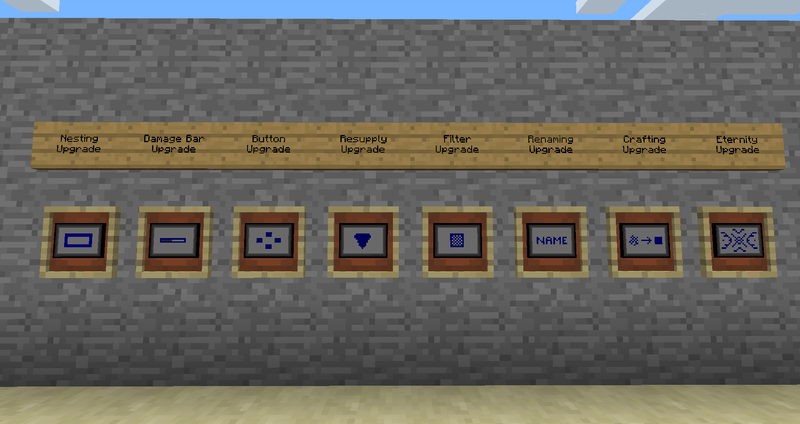 Heh, well I'm kind of new to adding mods and things, and I just figured out to add them on 1.12.2 version yesterday. I'm just wondering since I haven't figured THIS out, how do I put the backpack on my back? :| And this mod is great! Thanks! 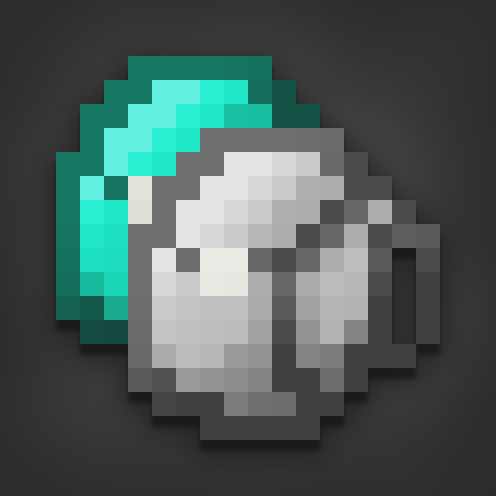 Equipping isn't implemented yet for the 1.12 version. Fixed in the latest version! I just made an account on this page to say THANKS YOU for this mod. This mod is doing great things for the people who need to storage large amounts of items in the inventory. Thanks! I'm hoping to restart modding sometime somewhat soon (that description is extremely vague, but genuine, on purpose). 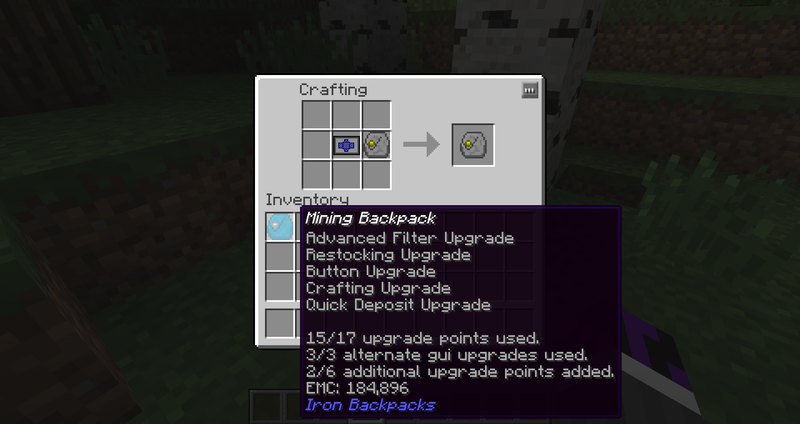 I'm using the 1.12.2 version and there's no way to add upgrades to my backpack, along with many upgrades featured on the wiki. Are those features going to be implemented? If you scroll down, we have said several times that you should use the Anvil to do so. If you scroll up, you will find the answer to that question. In bold. 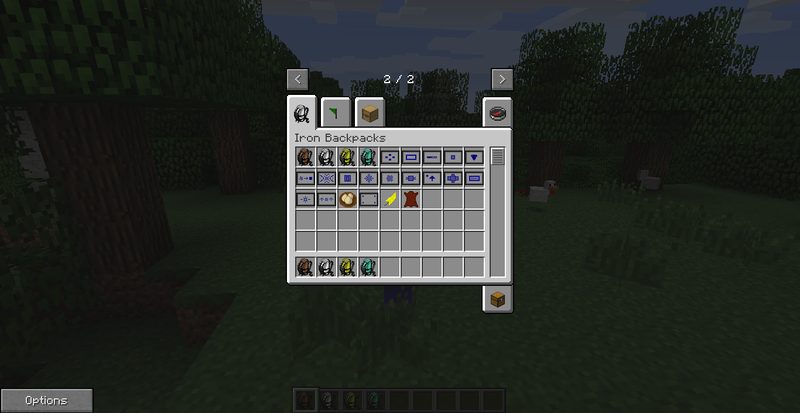 Hey Authors, my friend made a modpack on the technic launcher for 1.12.2 that has this mod in it. I don't really know whether it will become popular, but it is called, "Minecraft Augmented" and is based on enhancing vanilla and not making it into a new game. Just wanted to say thanks for a great mod! Makes playing modded minecraft manageable with all the added blocks. Your mod is an absolute necessity. so i was using your mod. i saw you are supposed to be able to wear the packs. when i look in the options for the hot key to do this it says disabled. is this because im using the 1.12 version? i couldnt find a config to change this so i assume so. i also couldn't find a definitive answer in the documentation. 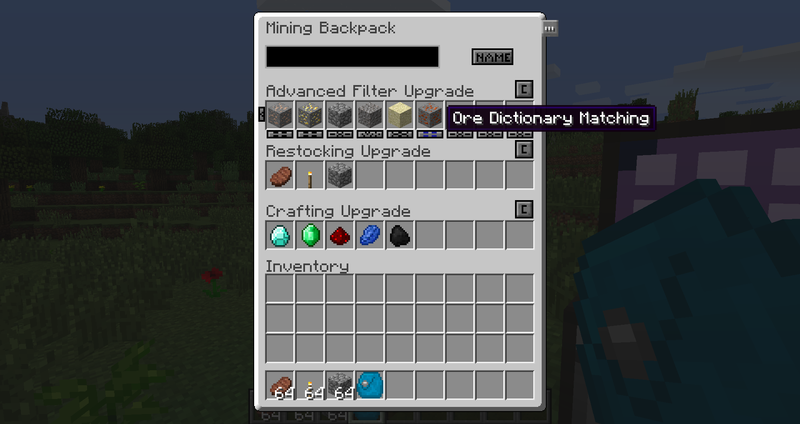 Correct, it is not yet in the 1.12 version. 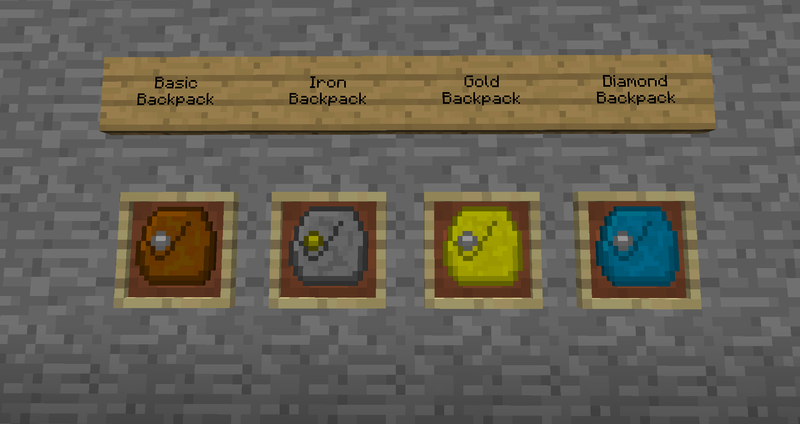 Seriously this is the best Backpacks mod out there! Can't wait when all of the old features being brought back to the 1.12.2 version!